How does a normal fault move? In a normal fault, the block above the fault moves down relative to the block below the fault. 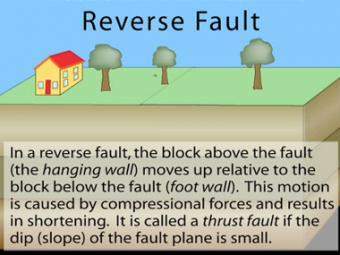 This fault motion is caused by tensional forces and results in extension. 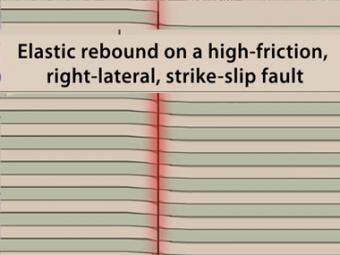 Other names: normal-slip fault, tensional fault or gravity fault. Examples: Sierra Nevada/Owens Valley; Basin & Range faults. 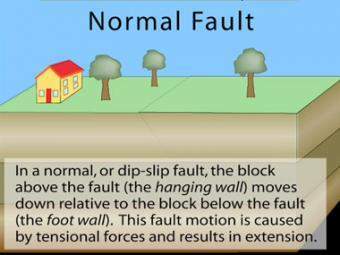 Fault motion is caused by tensional forces that result in extension. Fault types and rock deformation. The faults and folds in rocks provide evidence that the rocks are subjected to compressional, tensional, and/or shear stress. Silly Putty™ allows students to discover that the structure we see in rocks provides evidence for they type of stress that formed. 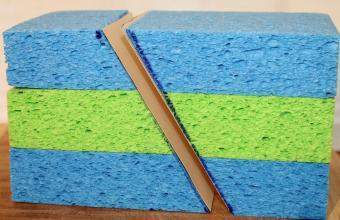 Students apply this idea by examining images of faults and folds experimentation with sponge models. 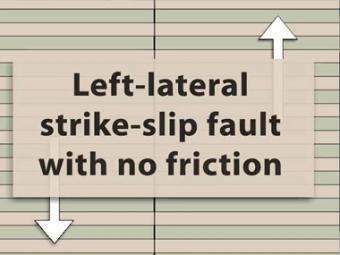 In a strike-slip fault, the movement of blocks along a fault is horizontal. 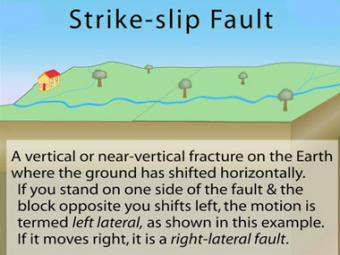 The fault motion of a strike-slip fault is caused by shearing forces. Other names: transcurrent fault, lateral fault, tear fault or wrench fault. Examples: San Andreas Fault, California; Anatolian Fault, Turkey. This left-lateral oblique-slip fault suggests both normal faulting and strike-slip faulting. It is caused by a combination of shearing and tensional forces. 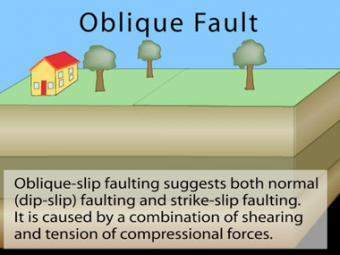 Nearly all faults will have some component of both dip-slip (normal or reverse) and strike-slip, so defining a fault as oblique requires both dip and strike components to be measurable and significant. 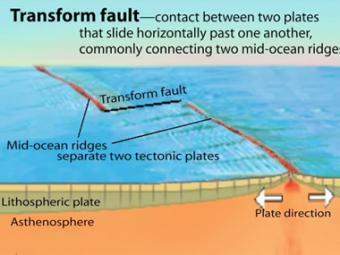 A transform fault is a type of strike-slip fault wherein the relative horizontal slip is accommodating the movement between two ocean ridges or other tectonic boundaries. They are connected on both ends to other faults. 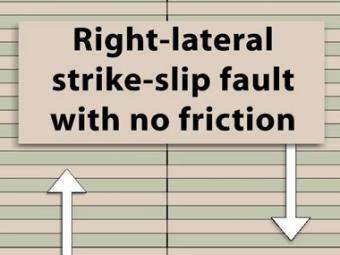 Left-lateral fault strike slip fault with little or no friction along fault contact. There is no deformation of the rock adjacent to contact. 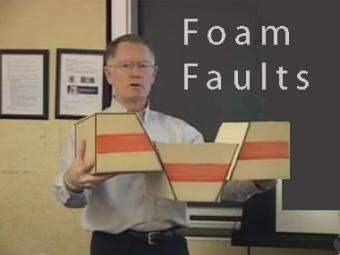 If the block opposite an observer looking across the fault moves to the left, the motion is termed left lateral. 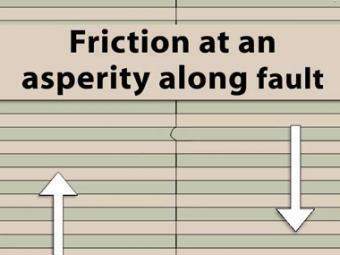 Animation shows the buildup of stress along the margin of two stuck plates that are trying to slide past one another. Stress and strain increase along the contact until the friction is overcome and rock breaks. View looking into a fault zone with a single asperity. Regional right lateral strain puts stress on the fault zone. A single asperity resists movement of the green line which deforms before finally rupturing.